Ana Allison started her career as a project manager in construction. Now she is one of the top franchisees of Aussie Pet Mobile, a mobile pet grooming franchise. Learn how Ana got started and her journey from construction project manager to thriving pet grooming business owner. 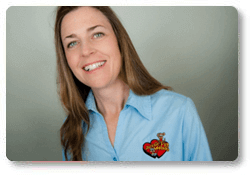 Ana started Aussie Pet Mobile Puget Sound in 2010 and has grown the company to cover the greater Seattle area.